To treat you with respect and courtesy at all times. 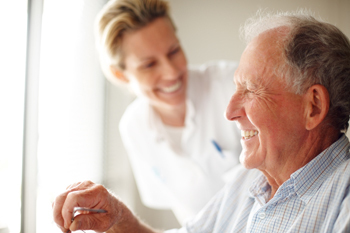 To treat you as an individual, and to discuss with you the care and treatment we can provide. To give you full information on the services we offer. To give you the most appropriate care by suitably qualified staff. To provide you with emergency care when you need it. To refer you to a consultant acceptable to you when necessary. To give you access to your health records, subject to any limitations in the law. To treat all staff with respect and courtesy at all times. To tell us if you are unsure about the treatment we are offering you. To ask for a home visit only when the patient is unable to attend the medical centre through illness or infirmity. To request such a visit, if at all possible, before 10:30 am. To ask for an out of hours visit only when necessary. To keep your appointments and contact the surgery in advance if you cannot. To be punctual for appointments, and to make a separate appointment for each member of the family wishing to see the doctor. Not to expect a prescription from every consultation with a doctor. There may be other options for treatment. To take medicines according to the instructions and to only ask for a repeat prescription if you need one. To let us know when you change your address or telephone number.